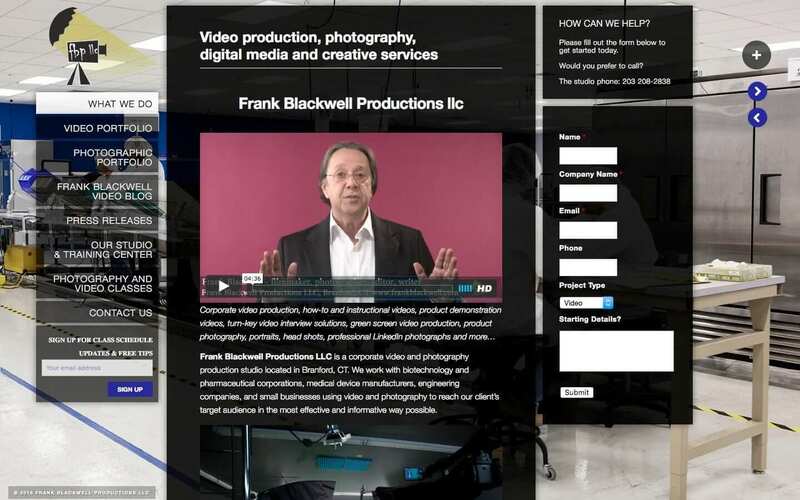 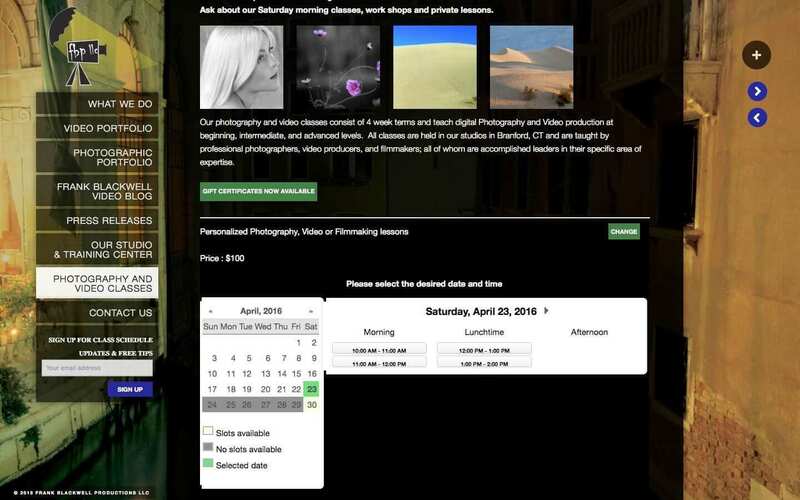 Frank Blackwell Productions LLC is a corporate video and photography production studio located in Branford, CT. They work with biotechnology and pharmaceutical corporations, medical device manufacturers, engineering companies, and small businesses using video and photography to reach a client’s target audience in the most effective and informative way possible. 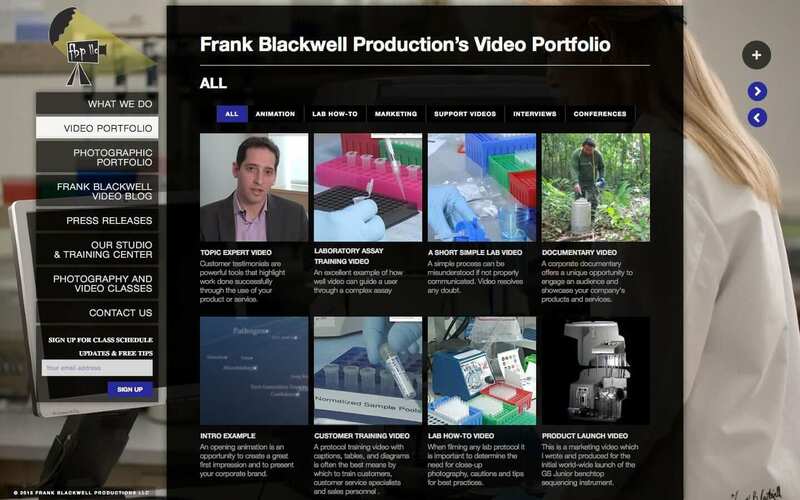 Their team uses state of the art equipment, and provides a green screen sound stage for corporate video and photography production that allows realistic backgrounds to be seamlessly inserted into photographs and videos.